This beautiful ornament features 6 blinking lights with batteries included which last approximately 80 hours of continuous use. It features ballet dancers and snow flakes all around, hanging by a light blue satin ribbon. Sold as a set of 2 ornaments. 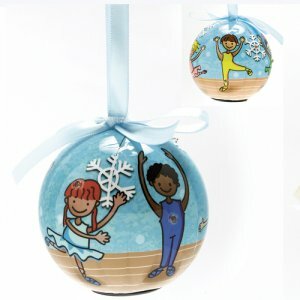 Check out our other blinking ornament styles.